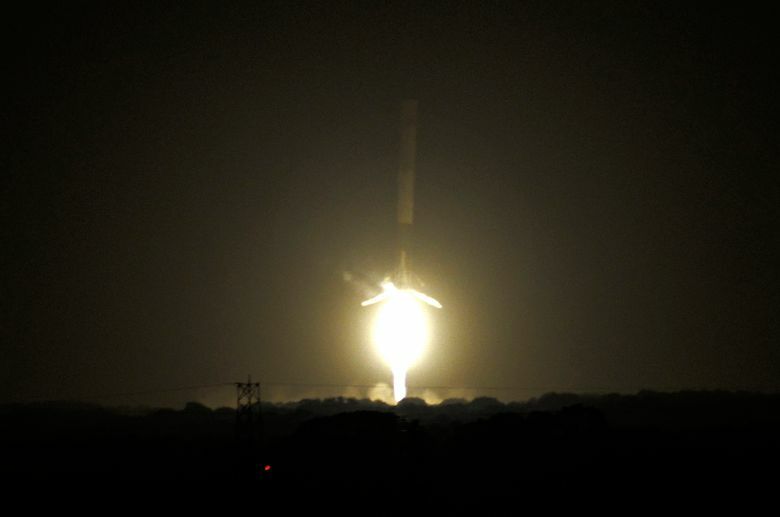 Elon Musk’s SpaceX achieved a milestone toward the dream of reusable rockets with a successful upright landing Monday of a Falcon 9 booster steered back to Earth after sending a payload of satellites toward orbit. Elon Musk’s SpaceX showcased his dream of reusable rockets by landing a Falcon 9 booster upright at Cape Canaveral, Fla., on Monday after lofting a payload of satellites toward orbit. 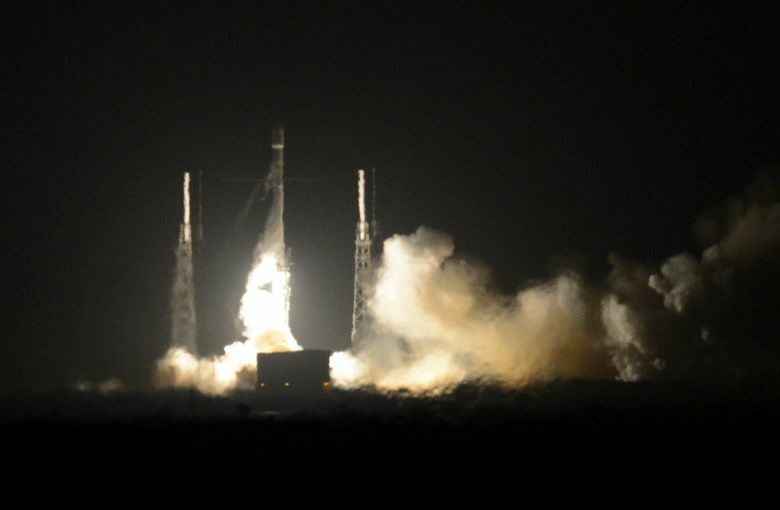 Space Exploration Technologies Corp. pulled off the soft, vertical touchdown minutes after the two-stage rocket propelled its payload of 11 Orbcomm Inc. satellites aloft. It was the company’s first flight since a fiery blast destroyed a Falcon 9 rocket minutes after liftoff in June. Monday’s mission helped validate Musk’s vision for lower-cost spaceflight and provides SpaceX a boost in his race with fellow billionaire Jeff Bezos to develop craft that can survive the fiery launch and return to Earth to be reused. 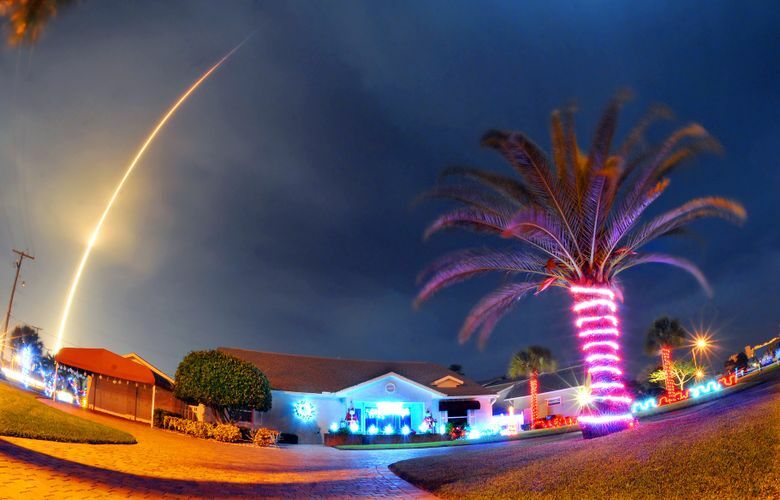 Instead of ditching the booster, SpaceX used thrusters and sophisticated navigation to steer it from space to Landing Zone 1, a former Air Force rocket and missile testing range. Booster rockets have typically been left to tumble back to Earth after launch, leaving them broken up by the intense heat of re-entering the atmosphere. Landing them upright could help winnow the cost of access to space by a hundredfold, Musk has estimated, since the bulk of launch costs come from building a rocket that flies only once. Recycling engines and the Falcon 9’s 14-story, aluminum-lithium alloy first stage could enable SpaceX, already the cheapest launch provider in its category, to further undercut U.S. and European rivals. The Hawthorne, Calif.-based company’s standard launch cost is $61.2 million, according to its website. Using rocket propulsion, SpaceX guided the stage to a slow, controlled stop at Landing Zone 1, last used in 1978. Musk’s rocket is equipped with small, foldable, heat-resistant wings, called grid fins, for steering as it plunges to Earth at four times the speed of sound. As it approaches touchdown, lightweight landing legs deploy. 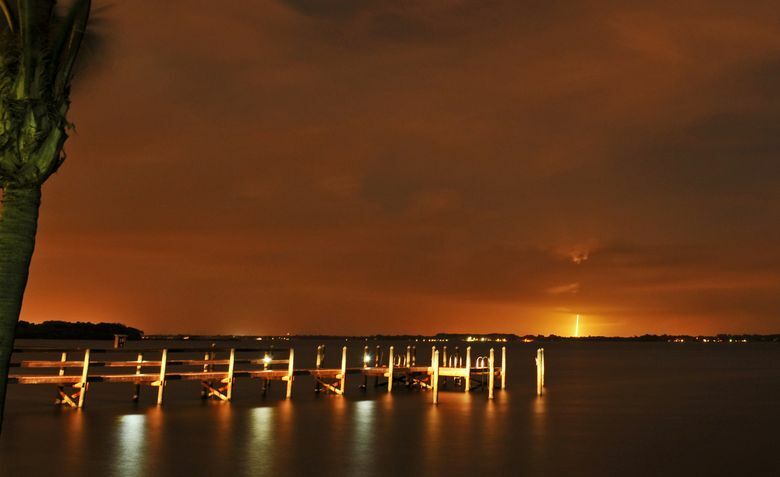 SpaceX had planned to attempt a barge landing after its last launch, of the rocket that was destroyed in June. Musk has said an initial probe into the failure pointed to a 2-foot-long, inch-thick strut, made by a supplier, that snapped in a liquid oxygen tank. SpaceX submitted its investigation report to the Federal Aviation Administration on Nov. 22. Musk, 44, founded SpaceX in 2002 with the ultimate goal of enabling people to live on Mars. 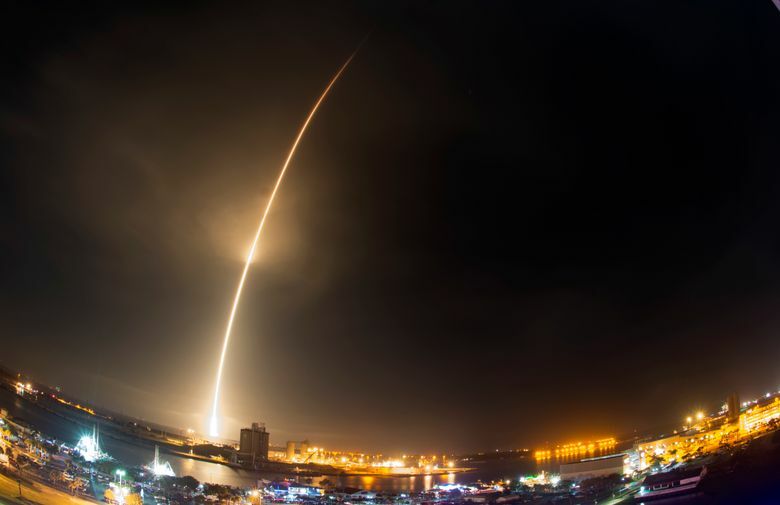 In May, SpaceX was certified by the Air Force to compete for military launches with United Launch Alliance LLC, a joint venture of Boeing and Lockheed Martin. It’s the first flight of an upgraded version of Musk’s rocket, named for the Millennium Falcon spaceship of “Star Wars” fame. The rocket has been outfitted with more-powerful engines. Blue Origin, the Kent-based rocket company owned by space-minded rival Bezos, successfully landed a booster last month in West Texas. That rocket, though, had been used for a suborbital flight. The more powerful SpaceX booster was flying faster in order to put satellites into orbit. “Welcome to the club!” Bezos tweeted to Musk and SpaceX. What’s significant is that this was a useful mission, Musk noted, not merely a practice flight. “We achieved recovery of the rocket in a mission that actually deployed 11 satellites,” he said. Across the country, SpaceX employees jammed company headquarters in Hawthorne, California, anxiously awaiting success. They cheered at full throttle when the first stage separated cleanly two minutes into flight and reoriented itself for an unprecedented return to Cape Canaveral. Then the roar became deafening, as TV cameras showed the first-stage booster landing on extended legs at its new, dedicated landing zone. 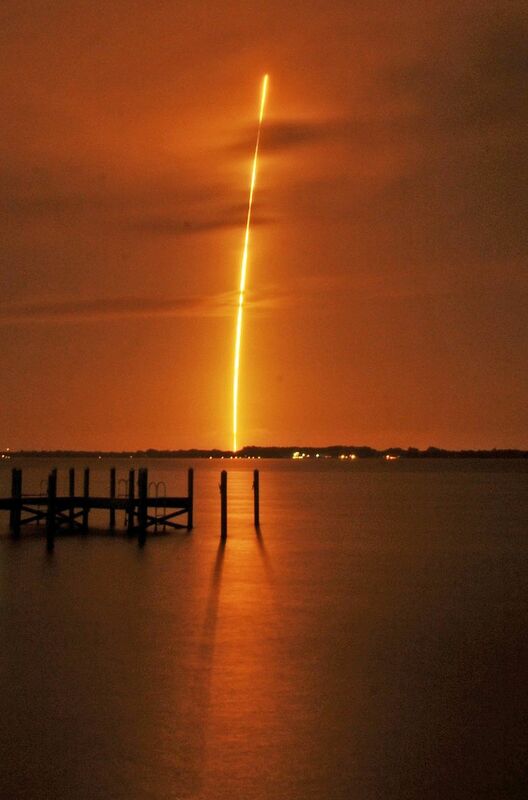 SpaceX commentators called it “incredibly exciting” and were visibly moved by the feat. OrbComm chief executive officer Marc Eisenberg seemed just as excited about the booster landing as his satellites reaching orbit. Musk, who also runs the Tesla electric car company, said he can drastically reduce launch costs by reusing rocket parts. Three tries at vertical landings of the first-stage boosters earlier this year failed; in each case, the segment aimed for a modified barge off the coast of Jacksonville, Florida. This time, Musk opted for a true land landing. Musk said it will take a few more years to iron everything out, for actual reusability of his rockets. In the meantime, he’s working to transform the SpaceX Dragon capsules from cargo ships into real spaceships for crews traveling to and from the orbiting station. His ultimate goal, for human missions, is Mars. “This was a critical step along the way to being able to establish a city on Mars,” he said. “That’s what all this is about. Seattle Times staff and The Associated Press contributed to this report.